Ready To Get Work Done On Your House? Your house is your haven, and it’s the place where you’re going to feel the most relaxed in your life. It’s a functioning space that keeps you safe, clean, fed, and happy, and you wouldn’t give it up for the world! But does your house work as well for you as you think it does? Maybe it’s time to think about the changes you could make, both big and small? And if you have thought about those changes, now’s the time for you to make sure you’re ready to follow through on your plans. You’ve already focused on how to make the garden a little safer and a lot more fun, and now’s the time to do the same for you house. So if you think your house could do with a renovation, or at least a little bit of redecoration, here’s a quick checklist to run through before you get started. As any good home renovation guide will tell you, if you haven’t stripped down the rooms that are going to be remodelled to their bare essentials, you could very likely lose a lot of your possessions during the bulk of the work. Whether this is because your items were lost during the chaos, or broken under the extensive heavy duty work being done in your house, you’re going to be left with a very sour taste in your mouth. So take the time now to make sure you’ve boxed up everything that could get in the way of your brand new rooms. Seeing as you’ll still be living in the house as all the drilling and hammering goes on, you can’t strip everything away, but Grandma’s china shouldn’t be left in the cabinet. 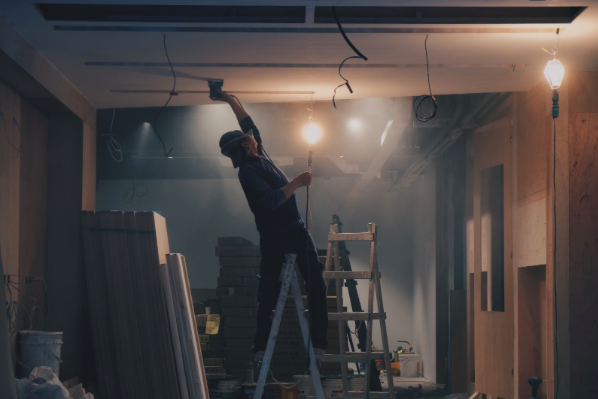 People are going to be coming in and out of your house for days, and because of that, there could be a huge and glaring security issue in your home during a renovation. Things could be broken, stolen, left dirty and unfinished etc., and that all means you need to keep a close eye on what’s going on. Thankfully, there’s lots you can here to minimize this risk. You could install a doorbell that has a video camera linked to your phone, making sure you can always see who’s coming in and out of your house when you’re not there. You could also add another layer of security and have a mobile lock linked to your front door from your phone as well. Or you could simply take all valuables and lock them up out of the way! Now’s a great time to get some work done on your house, seeing as the summer has a lot of free time for us to indulge in. But always prepare for an upheaval in your household, and thank yourself later!